Colleague and col­lab­o­ra­tor on var­i­ous projects. Macaranas, A., Antle, A. N., & Riecke, B. E. (2012). Three Strategies for Designing Intuitive Natural User Interfaces. In Extended Abstracts of the Designing Interactive Systems (ACM DIS) Conference. ACM. Seaborn, K., Riecke, B. E., & Antle, A. N. (2010). Exploring the interplay of visual and haptic modalities in a pattern-matching task. In Proceedings of the 9th IEEE International Symposium on Haptic Audio Visual Environments and Games (pp. 61–66). Phoenix, Arizona, USA: Piscataway, NJ. Warren, J., Antle, A. N., & Riecke, B. E. (2013). 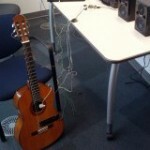 Issues Concerning the Design and Evaluation of Tangible User Interfaces for Learning. In NCE-GRAND 2013 Conference (pp. 1–4). Toronto, Canada. Macaranas, A., Antle, A. N., & Riecke, B. E. (2013). Design Guidance for Overcoming the Challenges of Natural User Interfaces. In NCE-GRAND 2013 Conference (pp. 1–4). Toronto, Canada. Milne, A. P., Riecke, B. E., & Antle, A. N. (2014). Exploring Maker Practice: Common Attitudes, Habits and Skills from the Maker Community. Presented at the FabLearn Conference on Creativity and Fabrication in Education, Stanford University, CA, USA. Warren, J. (2014). 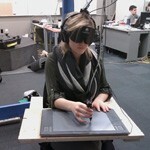 Exploring Context: Using Teacher Perspective to Guide Tangible Multi-Touch Tabletop Design (MSc Thesis). Simon Fraser University, Surrey, BC, Canada.